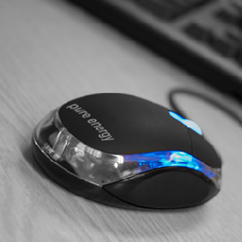 Pure Energy is a Suffolk based design company. We specialise in website design as well as video production and 3D animation. Pure Energy Multimedia is a web design company in Suffolk. They offer a range of services from basic static web sites to fully content managed sites and database driven sites. We are proud to offer you the finest thai teas, which many say are the best in the world. All our loose leaf teas are grown in the Province of Chiang Rai, the most Northern Province of Thailand. Our teas include Green Tea, Herbal Tea, Natural Tea, Organic Tea, Tea Powder, Loose Tea and Weight Loss Teas. Van Storage Systems. Van System supplies storage cabinets, draw units, case cabinets, shelves, trays and base units specifically designed to be incorporated into vehicles. Haverhill UK contains information about Haverhill Businesses, Haverhill News, people, ammenities, events, clubs and more.